Sharon R. Jones - Wife, mother, psalmist, administrator, teacher, mentor and anointed by God the Elect Lady of God's Word In Action Ministries. 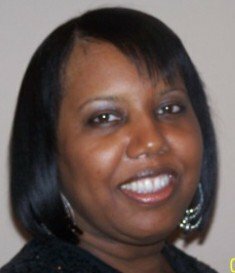 She serves as the Founder and Director of Women Touching The World Ministries (WTTW) & Director of Kingdom Kidz (Children's Ministry). WTTW is a dynamic teaching, restoration, and mentoring ministry for women and lady Sharon is quickly becoming one God's leading ladies of our time. She has a powerful anointing to speak God's word with a practical, and accurate, yet powerful flavor. Lady Sharon is a woman of excellent character, values, virtue and she is a vessel of true worship to our Lord! She is also the life love and partner to her husband of 24 years, Pastor Darryl Jones, and is the wisdom branch to their children and countless others. Lady Sharon Jones is a Woman Of Excellence. She holds a Bachelors in Computer Science & an M.S. in Special Education (Cross-Categorical).